Texas doctor Christopher Duntsch was such a bad doctor that he’s now serving a life term in jail for injuring a patient. 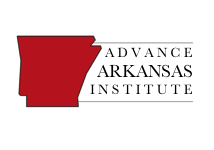 According to Max Brantley of the Arkansas Times, Duntsch isn’t the only bad actor in this story — tort reform is a villain, too. Looking a little more closely at this case, however, shows that this attack on tort reform is a case of using a tragic incident to push a political agenda. The story of Christopher Duntsch is truly horrific. His actions as a surgeon harmed the lives of many people. Unfortunately, the rules and regulations that are supposed to deter the substandard practice of medicine failed in this situation. It’s hard to see how tort reform is to blame for this, however. 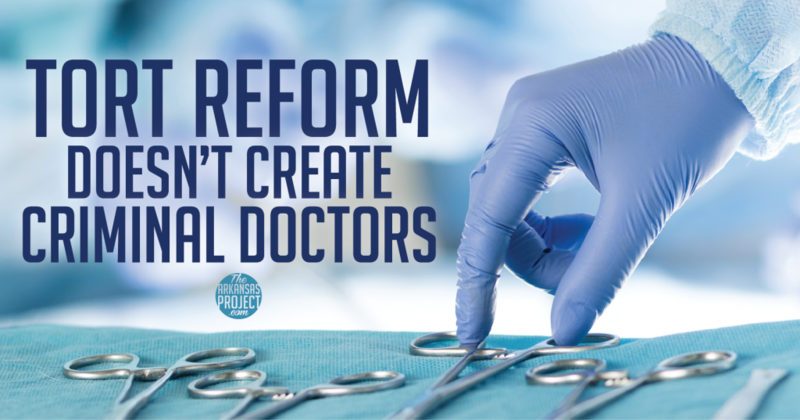 Tort reform does not create bad doctors or the atmosphere within which bad doctors thrive. Consider the case of Michael Swango, a murderous doctor who committed his crimes in various states that did not have tort reform. In the cases of doctors who harm and abuse patients, the problems appear to be with lax oversight that allows these individuals to move from one place to another even after they demonstrate their harmful behaviors. In the Duntsch case, a jury found him guilty of intentionally harming a patient. Under Issue 1 — the tort reform measure the legislature proposed two years ago — in cases where someone intentionally harms someone, punitive damages are not capped. The Duntsch case seems like a perfect example of the rationale for this exception to the rule. As such, attorneys representing the people harmed by Duntsch could seek unlimited punitive damages. 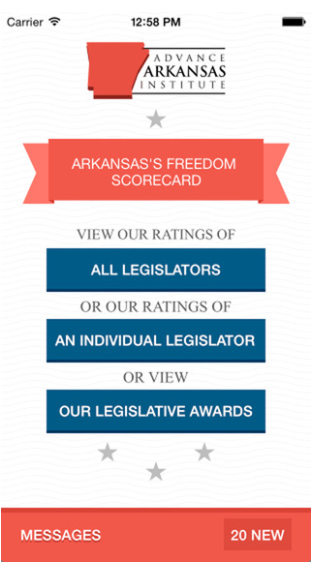 Furthermore, it’s absurd to say that tort reform would make Arkansas a “legal safe haven for butcher doctors and negligent nursing homes.” Bad doctors and bad nursing homes operate in states with tort reform and operate in states without tort reform. If doctors or nursing homes are breaking the law, as Duntsch did, then it is up to the criminal justice system to deal with them. Duntsch did not operate in a “safe haven” that allowed him to commit his crimes free from penalty. He was caught, though the authorities obviously acted too late. But that is hardly the fault of the tort system. I understand that Brantley does not like tort reform, but trying to use this sensational case to argue against tort reform is the sheerest kind of demagoguery.